in 1994, seal released the grammy award winning song "kiss from a rose", the single greatest song ever included on a batman soundtrack. back then, You couldn't go anywhere without hearing the song (be honest, you're probably singing it in your head right now). 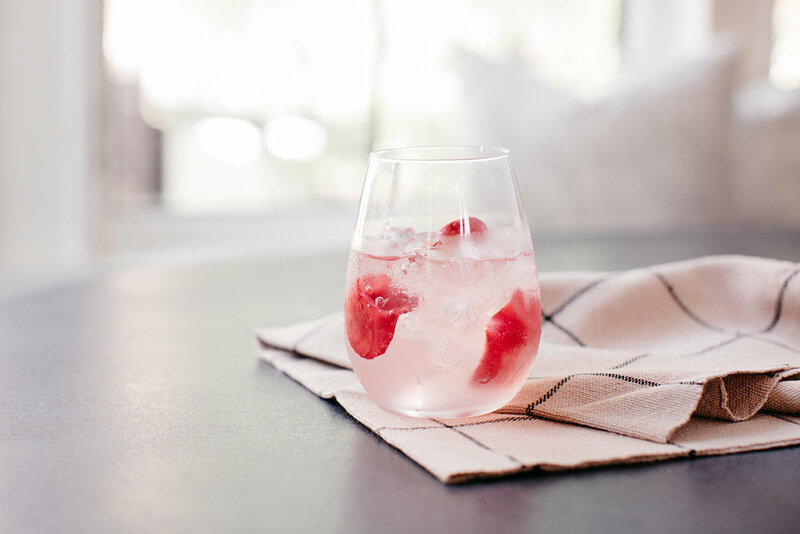 These days, rosé is having its own moment, so we created this cocktail to celebrate. WE thought it would be fun to play off a cocktail that seemed to be everywhere in the 90's as well, the wine spritzer, Though this drink has DECIDEDLY more complexity and balance (and booze) than its cousins. Combine first four ingredients into a cocktail shaker filled with ice. Shake & strain into a short glass & garnish with rose petals or lemon twist. Be sure to drink it with your pinky out!